Montebello Mom: RedBox DVD Rental: 3 Rentals for only $1!!! Just in time for Christmas vacation! RedBox DVD Rental: 3 Rentals for only $1!!! Just in time for Christmas vacation! 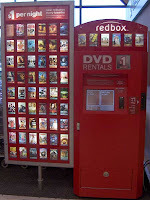 RedBox is a self serve DVD rental kiosk found in supermarkets. There is one in Albertsons on Via Campo, two in Ralph's on Atlantic & Riggin in Monterey Park, one outside of the 7-11 on Pomona Blvd & Wilcox, and inside the Wal-Mart in Pico Rivera. It's really easy to use. You chose what you want to rent swipe your credit card, which is then charged $1.10 and you have the DVD until 9pm the next day. If you want to keep it additional days it's $1.10 per day. 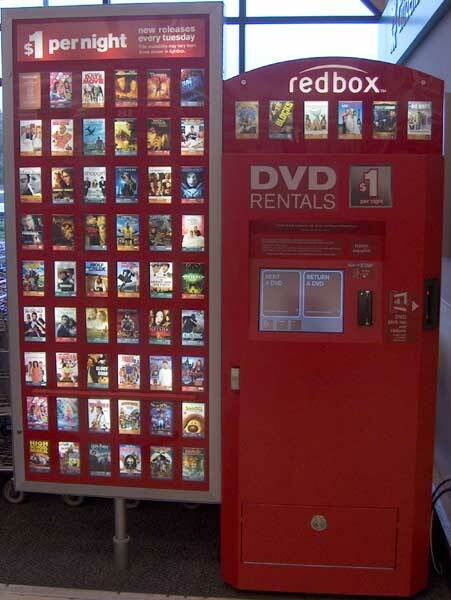 To return the DVD, go to ANY kiosk hit "return" on the screen, slide it in the slot and you are done. It's so easy my kid can do it. 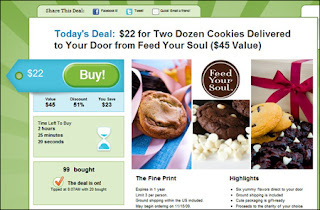 Groupon is a website that offers daily deals for stores and services for a specific geographic region. Once signed up with the site you get a daily email for a bargain in your area. I've gotten Santa pictures and Gymboree classes for half price. If you like the deal of the day you pay online with a credit card and a code or a coupon is instantly emailed to you! It's really easy. RedBox and Groupon combined their services and is offering a special 3 for $1 DVD Rentals! That is great for you and me because the kids will be off of school after next week and they will be begging to do something, now you can provide them with a whole day of entertainment for only $1! You don't even have to pay tax! The terms of Groupon say you can buy one for yourself or you can give it as a gift, you simply provide the email addresses of the gift recipient to Groupon when you are making the purchase. The Redbox codes expire 3/10/11, and is not valid on Blu-Ray or Video Games. You will still have to swipe a credit card at the RedBox kiosk but you won't be charged if you return the DVD on time. It's a great deal. I really like using RedBox and have had great experience and customer service with Groupon, you won't be disappointed! Click here to buy the $1 RedBox Groupon!